A few images from Julianna’s visit with Jimmy Fallon have been added to the gallery!. Kitty Montgomery cares a lot about the readers of Daisy Chain. 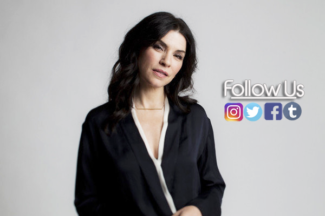 Julianna Margulies has been lighting up the small screen for over two decades, with standout roles on TV shows like ER and The Good Wife. She joins Katie and Brian to discuss everything from the big impact George Clooney had on her career to what she loved about playing Alicia Florrick. She also explains what makes her latest character on AMC’s Dietland such a delicious role. Plus, Julianna opens up about her own experiences with harassment as a young actress. A few new HQ stills have been added to the gallery!. 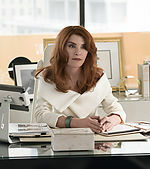 The Good Wife star Julianna Margulies today hailed television for offering actresses stronger and more diverse roles than film. 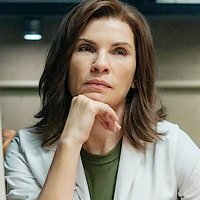 Margulies, who rose to fame alongside George Clooney in hospital drama ER, admitted it has been a “joyful experience” welcoming movie star friends to her TV “world” — including Reese Witherspoon following the critical acclaim for her Big Little Lies series last year. 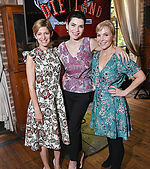 Julianna and Marti Noxon attended the AMC Dietland NY Influencer event today.